BBC: How to survive a missile attack: What's the official advice? What would you do if a hostile missile was flying towards your country, and you had minutes to take cover? 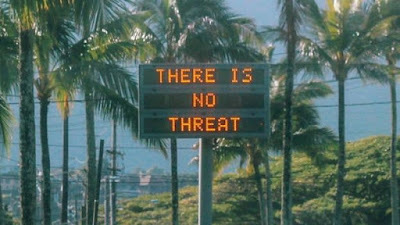 It's a terrifying prospect, and one the people of Hawaii faced on Saturday when an emergency warning was mistakenly sent telling them, "Seek immediate shelter. This is not a drill". Many tweeted that they were taking refuge in bathtubs, or even under mattresses. But what's the official guidance in the event of a North Korean missile attack? WNU Editor: A conventional missile attack is one thing .... a nuclear missile attack is another. It appears that everyone on Saturday believed they were under a nuclear attack .... in short .... the worse case scenario.